The first group of hats will be sent the first week in April. So please have your donations to me by Easter (3/31). If you can't make this round, no worries there will be more! 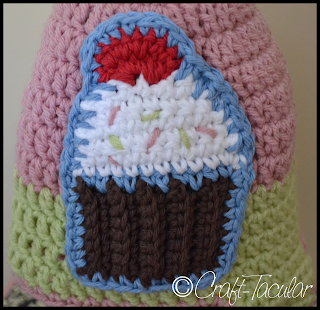 Inspired by the cupcake blanket I made I wanted to continue the theme and make a cupcake hat for my 3 year old. 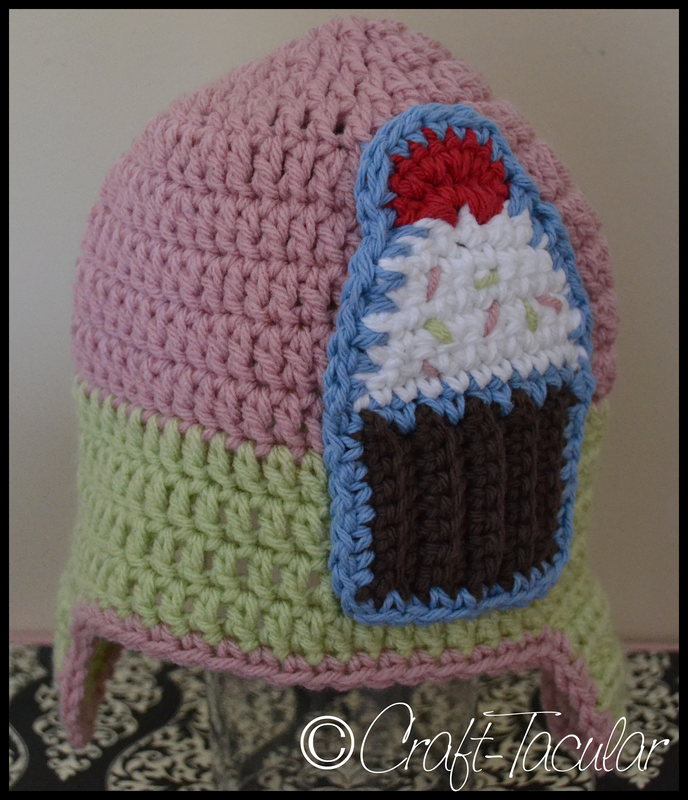 Basically what I did was follow a basic pattern for a earflap hat, and I sewed on the cupcake applique. I think it came out really cute, the only thing I will do differently next time is make the applique smaller so it doesn't take up so much of the hat. But besides that, I love it. The entire hat is made out of 100% cotton yarn, now that spring is approaching (YAY!) I didn't want her to sweat wearing it. And of course, it's washable, so what's better than that with a 3 year old. Row 10: HDC decrease, fasten off leaving long tail. Continue to SC around the entire hat. Join to first SC and fasten off, leaving long tail. So that is how I did this hat. 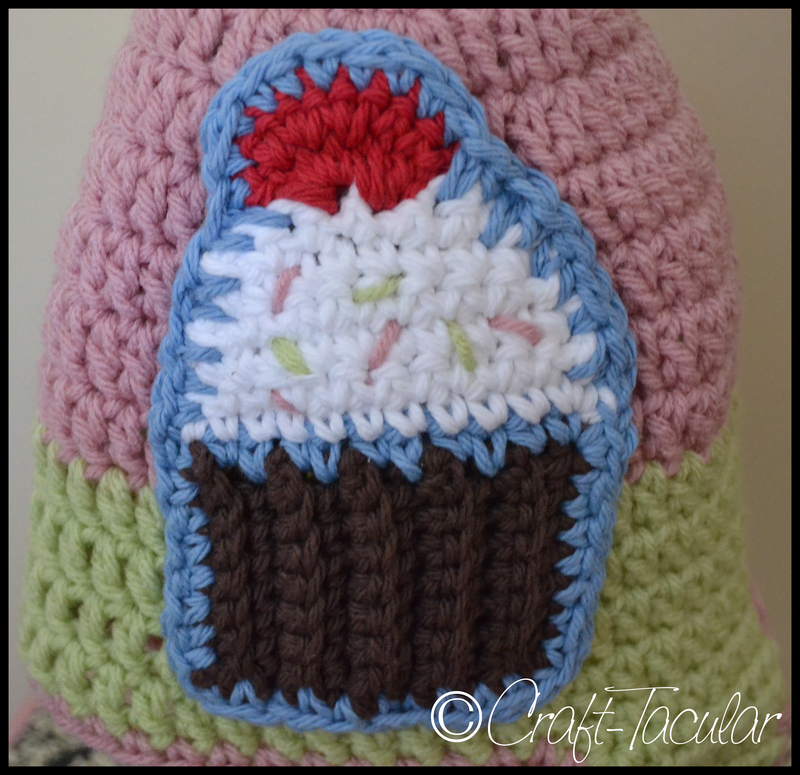 I've found that you can make a basic hat shape and do anything with it, animal faces, appliques, bows, pom poms, anything at all. 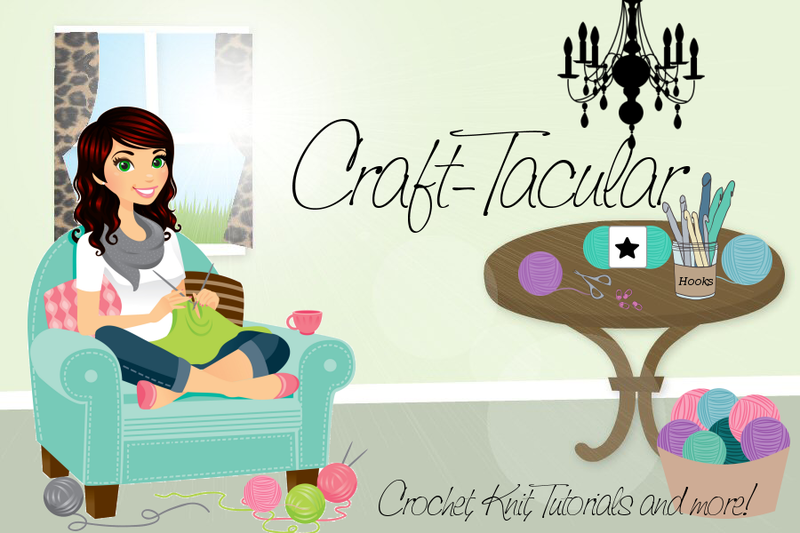 I'm having lots of fun coming up with different combinations!